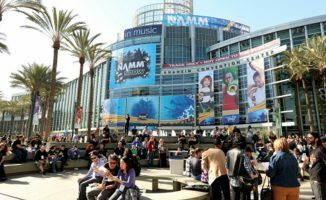 Now we’re back in our office, we’ve got a chance to bring you all those little things from around the NAMM Show 2013 – things that we didn’t get a chance to cover in more detail earlier, but that we felt were worth a mention. 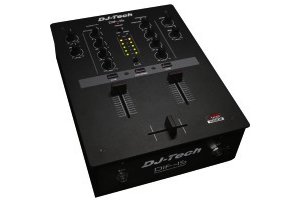 At a jaw-dropping US$149, this dead simple two-channel scratch mixer has an Innofader for quick cuts, aluminium faceplate, an extra in/out set of RCAs on the back (so you can leave your DVS breakout box plugged in at all times, no matter what other sources are also plugged in to the mixer)… and that’s it. Truly “back to basics”… and it’s a total bargain. Looking like a cross between the AIAIAI TMA-1s and the Sennheiser HD-25 IIs, these long-awaited headphones from Zomo looked and felt great. We’re waiting for the company to provide a loan sample so we can bring you a full review and video, but for now let’s just say that assuming they end up performing well, they will be pretty desirable. 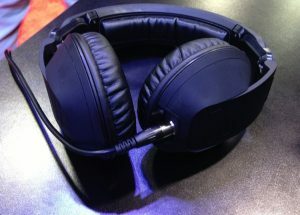 We’re big fans of the Reloop RHP-20 headphones, and we have to say we were impressed with the all-black edition, on show at NAMM for the first time. The metal silver sides are now rubberised in black, so there’s a texture change too. 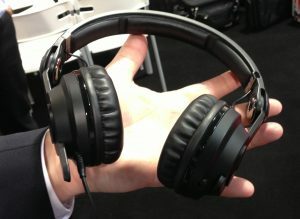 They have the form factor of a full-sized phone, with the understated cool of something like AIAIAI’s TMA-1s. 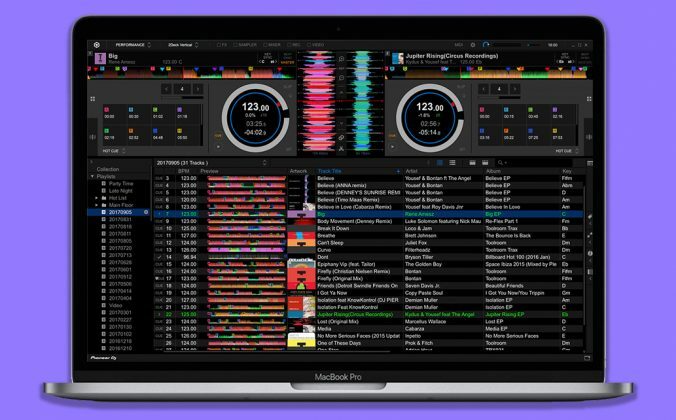 Serato is clearly making a big push towards improved recognition outside of its core base of fans. 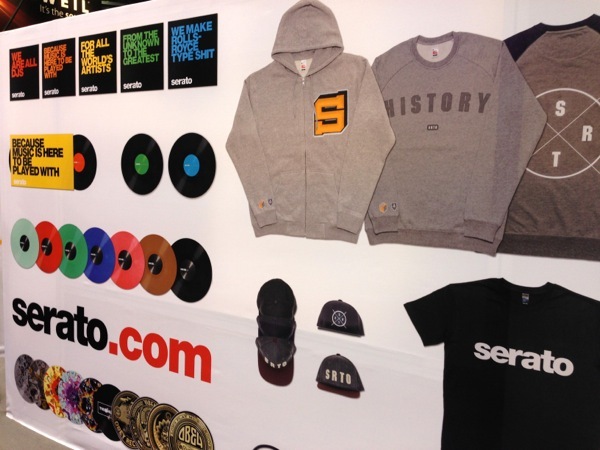 Every stand that had Serato-licensed products seemed to have a Serato plaque displayed prominently, and the cxompany’s own stand (this photo is the back of it) was full of lifestyle-focused products, slogans and clothing ideas. No need to re-introduce this one, just watch and see if you’re not smiling by the end of it. 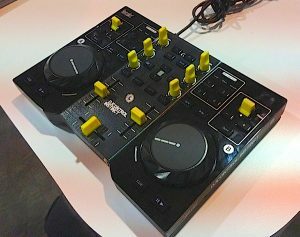 As ever, new controllers equalled new models, and we saw the Pioneer DDJ-SX, Pioneer DDJ-WeGo and several other new covers for DJ controllers from this popular brand. We also saw custom Magma controller soft cases that can snugly fit controllers with Decksaver covers in place, for the ultimate protection. It was hard to miss this very website as you entered the show, as we were slap bang on a huge TV screen right near the DJ halls, with much of our news and reporting on display daily for visitors to see. 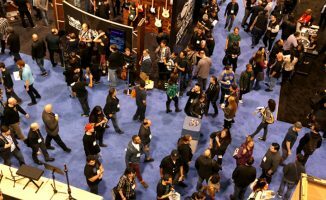 We managed to bring you video news from within half an hour of the show opening, and in a timely manner all the way through, thanks in no small part to the excellent facilities provided – so thanks, guys and girls of NAMM-ville. 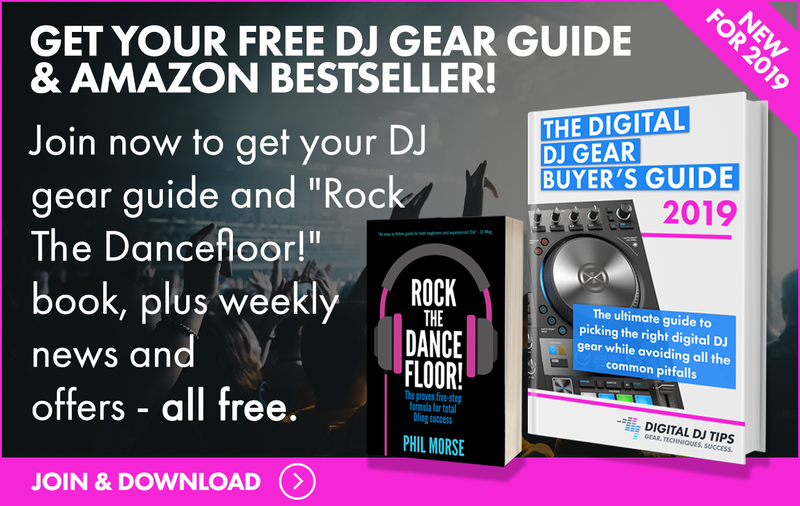 We’re always banging on about not using your home speakers for DJing parties etc, and these two mini-PAs give you a more sensible solution. 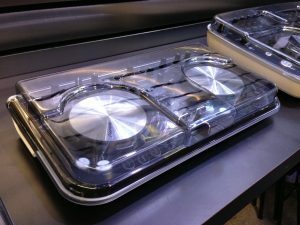 The speakers fold together, the separate mini-mixer locks into the back of one of the speakers, and each system comes with a zip-up nylon bag for easy transportation. They feature reverb, feedback supression, and EQ, and are rated 400W and 680W respectively. Stands are an optional extra. 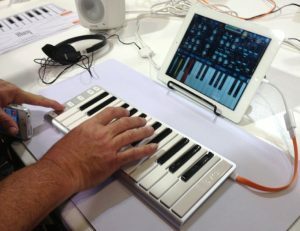 We loved the form factor of this little keyboard, which would be perfect to have tucked on your studio desk for easy composing in your favourite DAW. Clearly meant to ape the look of Apple’s wireless keyboard, this one of course has a USB socket, and apart from its looks, its selling-point is that it has full-sized keys with polyphonic aftertouch. 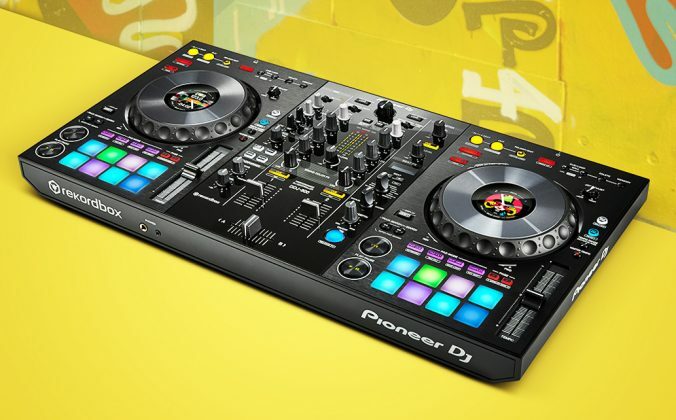 It’s not only Pioneer that can release blingy, limited edition versions of its controllers. 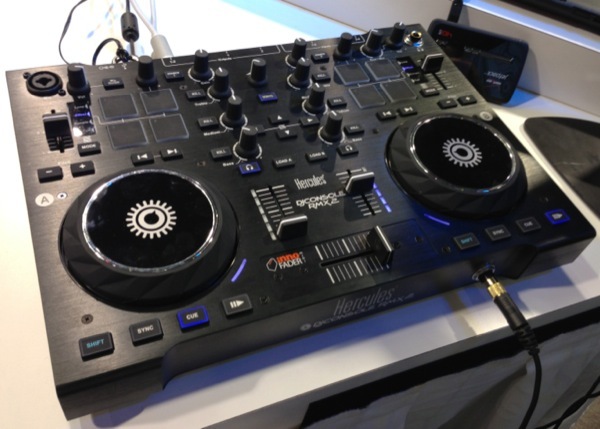 Hercules had the RMX2 and the 4-Mx on display, both in black versions. The 4-Mx as pictured has decal details in gold, for that “money no object” look. Apart from that, it’s technically exactly the same as the normal-coloured version. Anyone of a certain age will remember the original Stylophone. It’s a British electrical instrument whose keyboard you play using a wired pen that completes a circuit. This new version preserves the original idea and sound, but adds a heap of modern extras, and comes in a number of finishes, our favourite being this Union Flag-inspired example. 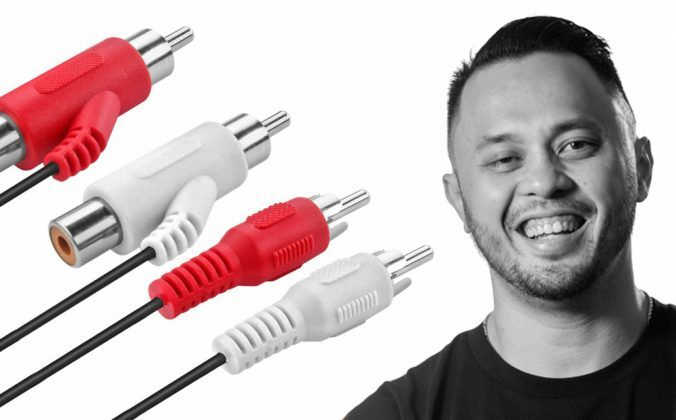 Without Midi, they’d be no digital DJ controllers, indeed no electronic music as we know it. 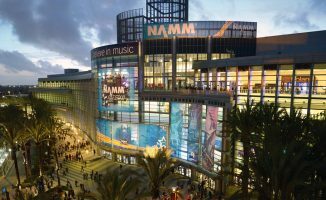 Thirty years ago, Midi arrived on the scene, and this year there was a stand at NAMM celebrating this. 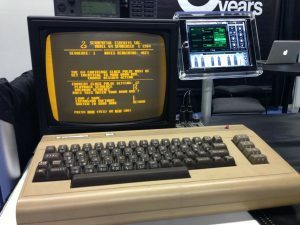 This picture shows an 80s PC, the Commodore 64, hooked up to an iPad. I’ve no idea what it was doing, how or why, but I though it worth a picture. 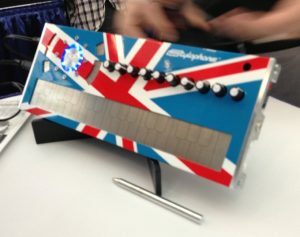 And that concludes our coverage from NAMM Show 2013. We’ll be back on the road again for the next big show, Musikmesse, in April. 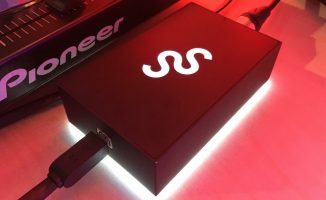 Meanwhile we’ve got the small matter of Scratching For Controller DJs to launch, one other bit of extremely exciting news to bring you – oh, and a website to run. So see you tomorrow as we return to normal, jetlag notwithstanding… Over and out! 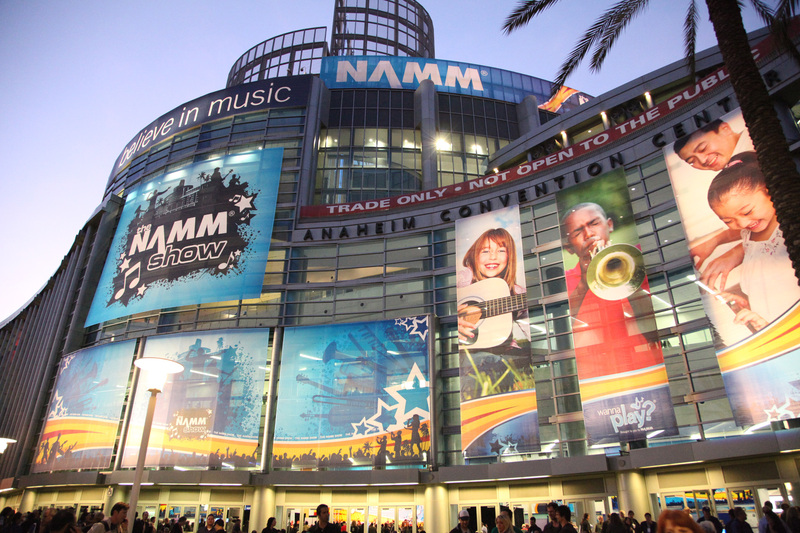 What was your highlight of the NAMM Show this year? Anything above stand out for you? I’d love you to share your thoughts in the comments. Tell you what, for cases/bags/protection and transportation needs, Magma have pretty much got the market cornered. But does anybody else think that their product prices are pretty extortionate for what they actually are?? I actually think most bags are expensive, but I don’t find Magma any more so than anyone else. Mono bag all the way for me, Odyssey Redlines are also just as good as most bags out there and are WAYYY more cheap. 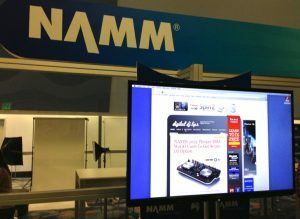 Great job on the NAMM coverage, Phil! Thanks so much. Glad Decksaver is keeping up with new controller/gear releases, love their product. 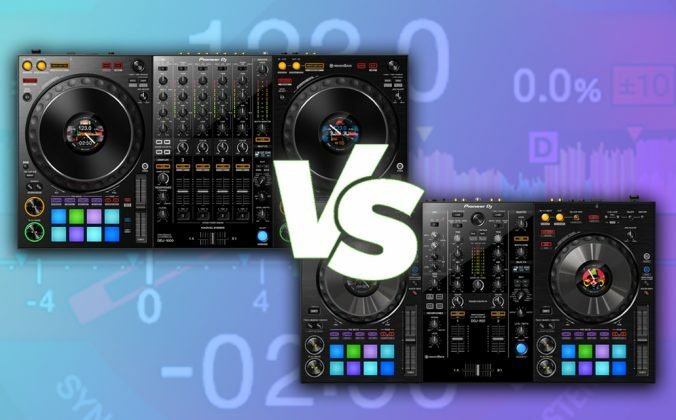 The DJ Tech mixer sounds almost too good to be true, about time someone knocked the base Numark models out of their top spot on the low price totem. It was a very nice little mixer, they’ve spent the money where it counts (metal construction, A-grade crossfader). 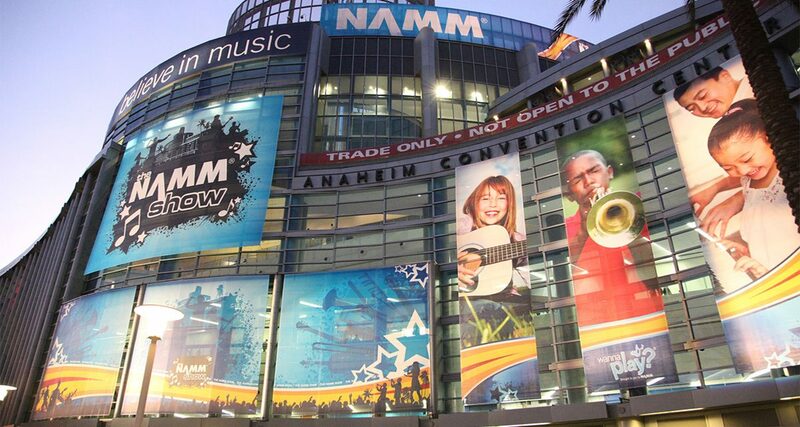 Thumbs up for the good work at covering NAMM! Just to say thanks to you Phil, it was an exciting week reading your posts at midnight (GMT). Commodore 64. My dad used to have one of them. Massive floppy disk drive! i had a one button joystick and only new the commands to load up the games! My Sinclair Spectrum didn’t even have a floppy – cassette tape drive all the way! See ya at the MusikMesse. 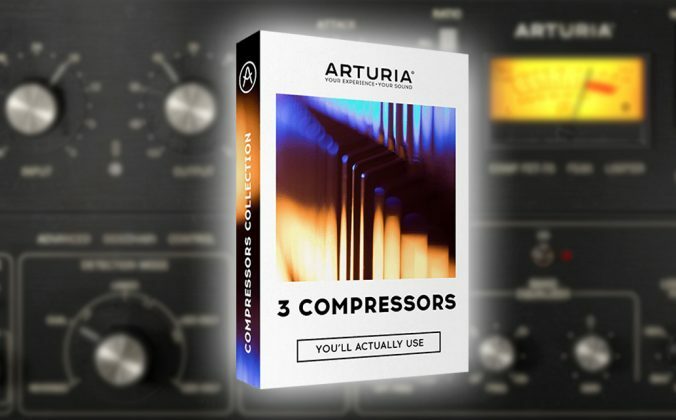 LOL we posted 35 posts, only around 6 or 7 concerned Numark products. It’s true to say they WERE the most active of all the companies, though. Thanks so much Great job on the all the coverage. *Thanks so much Great job on all the coverage. A pleasure, it was as always a lot of fun. The purpose of the commodore 64 setup explains itself: a computer sends tru midi messages controlmessages to a synthsizer…plain and simple midi: nothing weird about that. 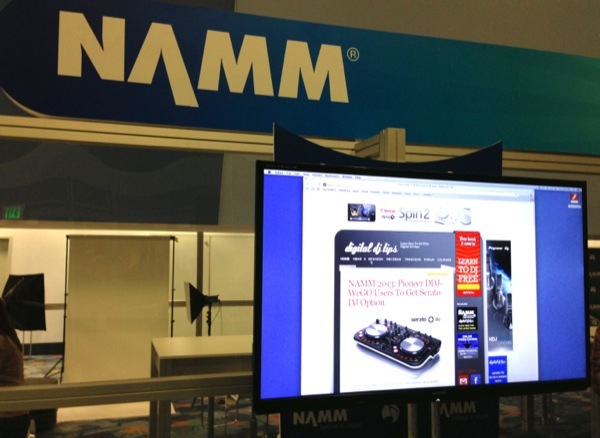 Visited this site MANY times during the day over namm looking for the latest news. Great job as always. Looking forward to the day when NI drop an updated s2! 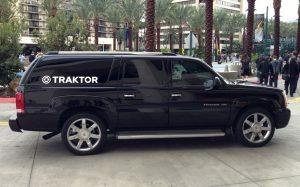 Phil any word on the Traktor app? I mean anything? Lol no date no nothin yet? 🙁 maybe NI will drop something interesting at MusikMesse. Keep up the great work! 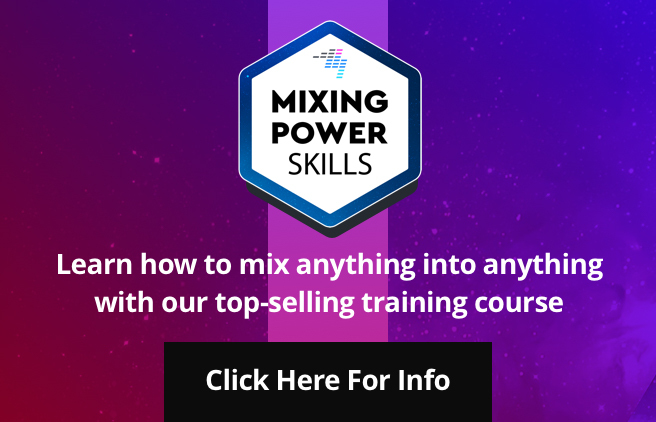 MixMeister has worked like that forever. Udg bags improving. I invested in one for Christmas for my s4. Fits my 17″ lapper an leads in as well so happy out. Reason why I left the hard case is its too deep to continue reaching over for. Now I’d like some sort of a stand that the lapper and controller will fit on left and right Beside each other. Anyway those comments aside thanks for the excellent coverage Phil. Any date from reloop for those RHP-20s in BLACK… I was about to purchase a pair but might wait for the black ones. No, not a word… you’re right, they are nice. Great job as always, Phil! Good you mentioned the Yamaha Stagepas. I’ve been using Stagepas 300 at home and with a sub on small gigs for two years. 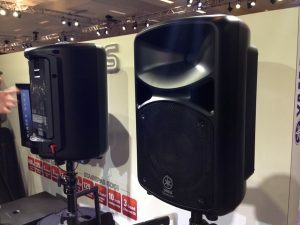 Now the’ve got even better due to Nexo, you get Nexo sound at a Yamaha price. Great!